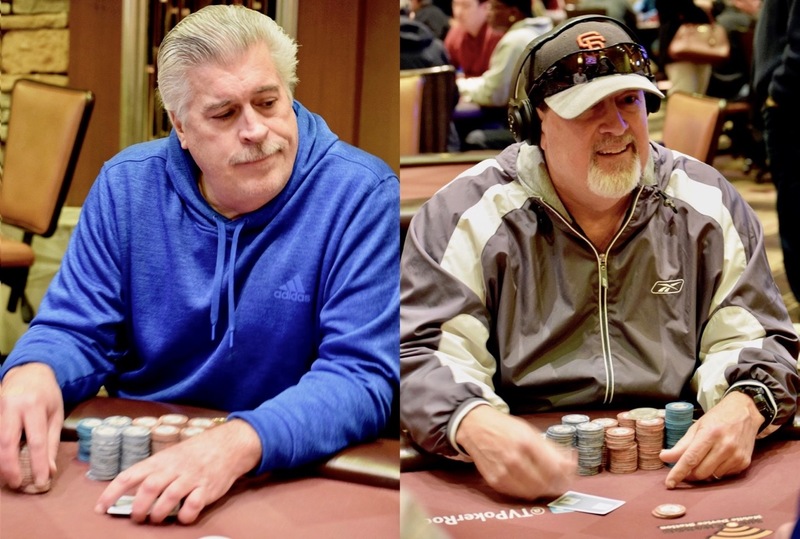 Ron Cristian (right) defeats Eyyal Altar heads-up to win the fourth and final Shootout table, and the Heads-UP semifinals are now all set. Richard Ropiak and Chris Hinchcliffe are playing the other Semifinal. Winners of the Semifinal match play one Championship match. The two runners-up cash for $500 each.